I am still awaiting to hear whether I have gained the AFIAP distinction from FIAP, so in the meantime I am entering exhibitions towards the next step up the EFIAP (E is for excellence, whereas A is for artist). While the AFIAP only needed 30 acceptances with 10 different images the EFIAP requires 150 acceptances from 50 images, so lots more acceptances but more importantly lots of different images. So I have started entering more new images in competitions and have been pleasantly surprised to find most of them have been accepted first time round. Two recent exhibitions with new acceptances are both in Serbia, first BOR 2011 and also Portrait 2011, with a total of 15 acceptances between them. First of the new acceptances is The Red Flower with Katy T. Using the flower was Katy’s idea, and I just liked the texture of the well as wall and the shadows, and then fiddling with one of the Lightroom sliders gave the border. Followed by Reflected Beauty and needing no introduction – Holly. This also breaks all the normal camera club rules of not have an image cut through the centre, but it works for me so who cares. The next one has appeared on the blog before, but the background has been tidied up a bit. This is The Ram with Tiffany Jayne. Another one seen before but now in finished form, Falling with Ella Rose. And another one seen before but now modified quite a bit, Broken Dreams with Fredau. 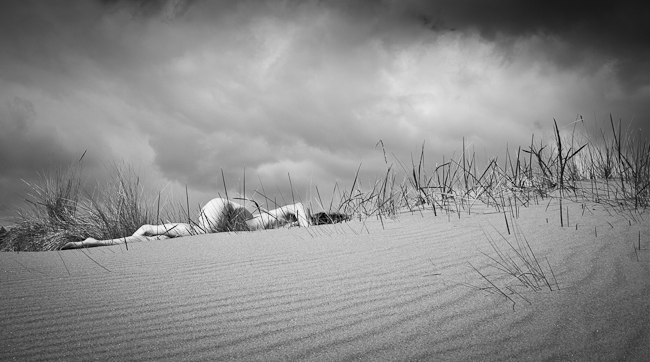 And finally this was accepted into MidPhot and not an international exhibition, Sand Dune with Chrissie Red. A couple of things I’ve noticed looking at the images. First they are all different models, which is good as is shows I can produce good work with a variety of models. And also they all look so different. Some photographers have a style and all of their images have a ‘look’ about them such that you can often recognise the author from the image. I think you would struggle to say these images are similar in any way, which hopefully means I trying out lots of new techniques and ideas. The other good thing about these images are that three of them were in the Creative section of a competition. As I don’t do natural history or photo-travel images then I am usually restricted in the number of sections I can enter images into, usually monochrome or colour. and only 4 images in each section. However many exhibitions now also have a creative section – which basically means anything weird – so Fallen, Broken Dreams and the Ram are good images for me to enter in those sections in future exhibitions. Thanks as usual to all the models, and also to all the people who help run the exhibitions. I have seen at Smethwick how much effort it takes to put on an exhibition, and without all those volunteers my images would still be stuck on my computer doing nothing – so a big thank you to you all. All the images are superb, but that one shot of Holly by the pond has to be one of the most perfect art nudes that I’ve ever seen. Great work. Glad you like it Steven. I have loads from that shoot and until now I have never used them or uploaded them anywhere. I hope to do a web gallery and blog post using more of the images soon.